Standalone console set for mobile competition? 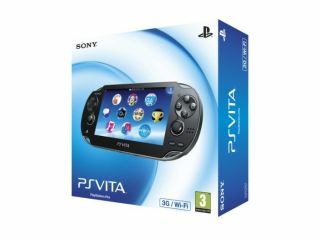 Sony is looking into ways of porting its Vita OS software onto its mobile devices according to a Japanese website. According to the Japan based site AV Watch, soon-to-be Sony President and CEO Kazuo Hirai has hinted in a Q&A session with reporters that Sony is exploring how its Vita OS could make its way onto devices such as smartphones and tablets. Sony's Senior Vice President Yoshio Matsumoto went on to say: "if you're asking if we've made it [the Vita OS] in a way that's expandable, so that it's possible to apply to smartphones and tablets on top of achieving the high responsiveness we need for gaming devices — it is possible"
Sony has already brought PlayStation gaming to a mobile device with the Xperia Play allowing us to get to grips with original PS One titles. If Sony did bring Vita gaming to mobiles and tablets we could see the premature death of the PS Vita console if the devices offered the same display quality and gaming experience. Controls may not be as ergonomic, but users may sacrifice this for mobile phone features. Sony is looking to get its mobile division back on track in 2012 after poor results last year saw it make a loss and lose ground in the market to the likes of Apple, Samsung and RIM. Find our more on Sony's latest handheld in our PS Vita review. Will the lure of Vita gaming on your mobile be enough to tempt you away from your iPhones and Galaxys, or due Sony need to try harder? Let us know in the comment box below.